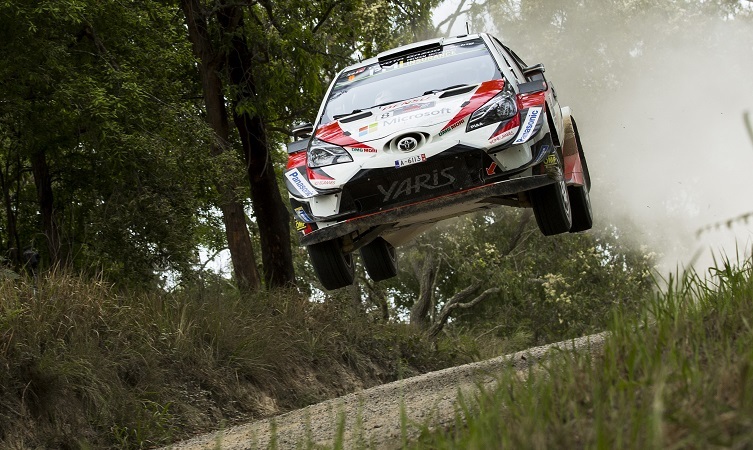 After beginning its World Rally Team project three-and-a-half years ago, Toyota Gazoo Racing is delighted to have claimed the outright win of Rally Australia, the final round of the 2018 FIA World Rally Championship, as well as the prestigious manufacturers’ title. 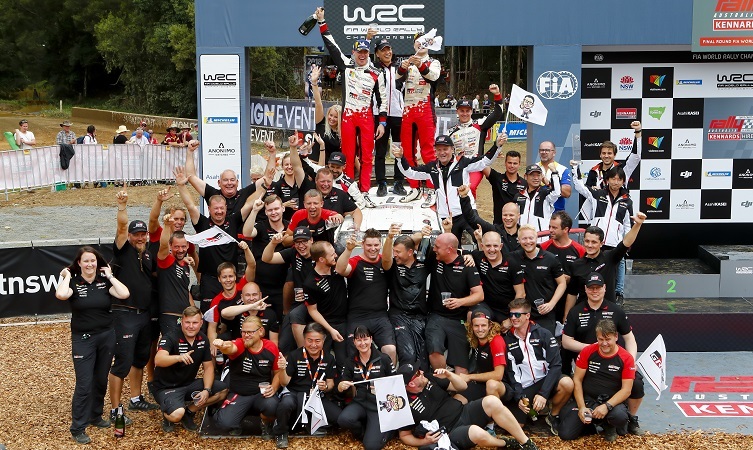 This achievement marks the fourth occasion that Toyota has won the WRC manufacturers’ title and its first such win since 1999. The season-ending event concluded in style with victory for Jari-Matti Latvala and co-driver Miikka Anttila. Esapekka Lappi finished in fourth, while Ott Tänak was bitterly disappointed to crash out on the final day. The following is a brief summary of the events on each day. Review: The shakedown took place on a 5.0km course north of the rally base in Coffs Harbour, including sections that formed part of Sunday’s final stage. This gave the team a good opportunity to work on car set-up, particularly as it was not possible to test in Australia before the event. All three drivers completed four runs and showed good pace. Tänak finished second-fastest, with Latvala seventh and Lappi eighth. Only 1.2 seconds covered the top eight drivers. Tom Fowler (chief engineer): “We did some systems checks, which are particularly important on long-haul events like this as we have to somewhat disassemble the cars to get them to Australia. Review: The Toyota trio was among the first over Australia’s dusty gravel stages and locked-out the first three positions and set a fastest time from the first four stages. Latvala’s consistently strong pace ensured he ended the day just 8.7 seconds from the lead and in a strong position for Saturday, the longest day of the rally. On SS5, both Tänak and Lappi were caught out by a water splash. 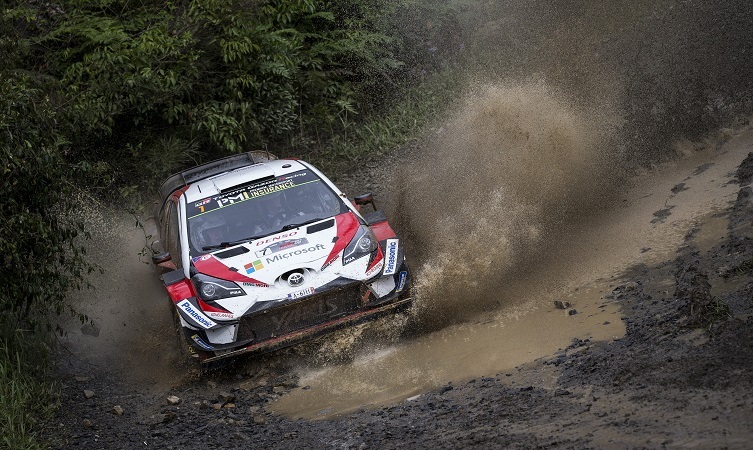 Heavy impacts with the water caused Tänak to lose front bodywork, which affected the handling, and forced Lappi to a brief halt with a misfire. Both maintained good speed thereafter, with Tänak within 16.9 seconds of the lead. Tommi Mäkinen (team principal): “We had a very good start this morning, with all three drivers proving to be competitive and having a good feeling with the car. Unfortunately, Ott and Esapekka both suffered in the same water splash: I think they were a little too sideways and this caused them problems. Review: The longest day of the rally began with Latvala holding third, Tänak in fifth and Lappi sixth. But within three morning stages, Latvala and Tänak had moved up into first and second. With wins on six of the day’s ten stages, Tänak moved ahead of his team-mate, and ended the day with an advantage of 21.9 seconds. Latvala was faced with heavy rain at the end-of-day super special stages but was able to hold on to second. Lappi was also a stage winner during the afternoon and closed to within 3.8 seconds of fourth. Ott Tänak (driver car 8): “It’s been a good day. This morning, we were back in our normal rhythm and the car felt good. I tried to attack a bit and we managed to take some time back. Review: The final day was characterised by muddy and slippery forest stages, the tricky conditions catching out a number of drivers. These included Tänak, who had to retire on the penultimate stage after hitting a tree. Latvala avoided mistakes and took three stage wins to clinch victory by 32.5 seconds – the team’s fifth win of 2018. 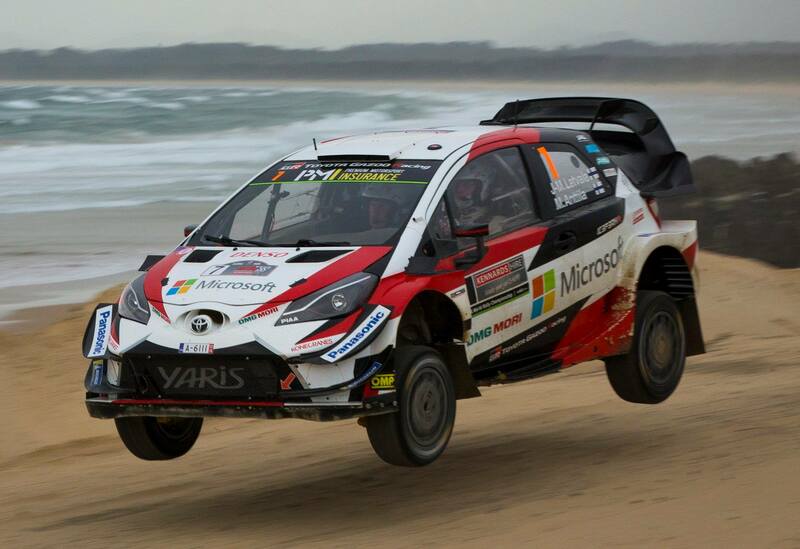 Lappi also won a stage to complete a strong drive in his final event before departing the Toyota Gazoo Racing team. 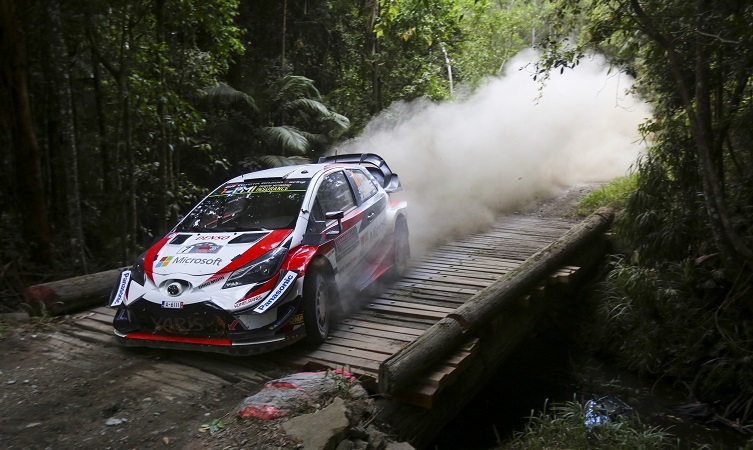 Tänak, Latvala and Lappi finished the season third, fourth and fifth respectively in the driver’s standings, with Tänak fighting for the drivers’ title until the final day in Australia, and all three contributing towards the manufacturers’ title. 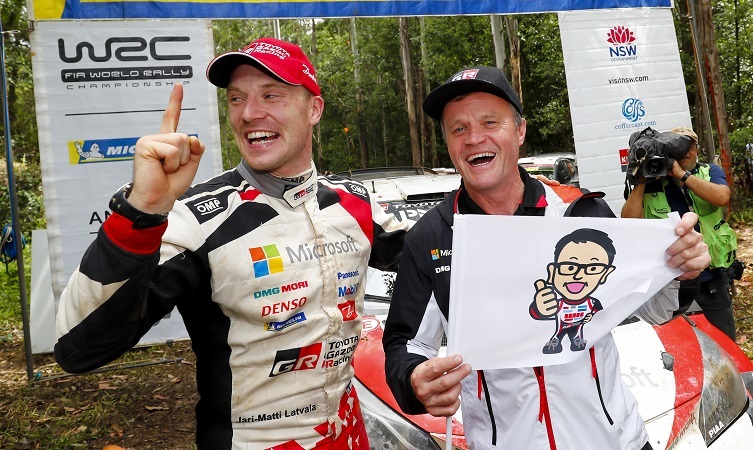 Akio Toyoda (team chairman): “Congratulations to Jari-Matti and Miikka for the Rally Australia win! I was very glad to see them on the top of the podium at the end of the year after what has sometimes been a tricky season. And with this victory, we could win the manufacturers’ title. I feel so grateful that we could get such a great result in the second year of our challenge after returning to the WRC following 18 years away.